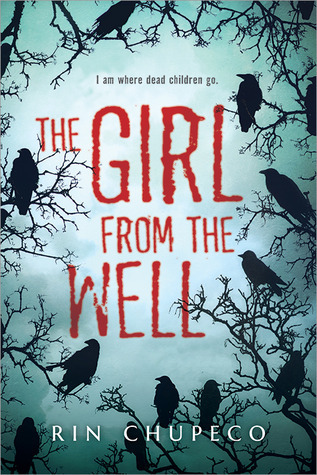 Today we are thrilled to have author Rin Chupeco over to talk about Inspirations and Influences for her debut novel, YA horror story The Girl From the Well. 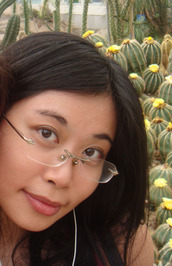 Thea loved the book, so we are delighted to have Rin talk about the folktale behind the novel. Please give a warm welcome to Rin, everyone! According to the Japanese legend, Okiku started life as a young maidservant to a powerful lord. She was eventually killed and thrown down a well for being less important than the men who were guilty of this crime. It’s not an unusual end in Asian ghost stories – many run through similar lines. That didn’t suit well with me. All too often in ghost stories the point of view is told through the eyes of the haunted, rather than those who haunt. It’s easier that way, and it’s why I strove to do the exact opposite. I wanted readers to be reminded that while she is first and foremost a gruesome creature, that isn’t her fault. I wanted a different kind of heroine from a perspective few people would expect. I didn’t want a protagonist who was going to bleed emotion and desire into her pages, because my Okiku would never be the type to consider herself important enough for that – but I also wanted, in the short spaces between her madness, for her to let her guard down, to allow herself the luxury to talk about herself no matter how short or fleeting those instances of her humanity are. The more she finds herself immersed in Tark’s situation, the more frequent those became. I rejected the Casper-the-friendly-ghost option – to make her any less than a terrifying spectre would lessen her impact and her importance. I wanted a ghostly heroine still motivated by the malice she acquired due to the horrificness of her death, but also one capable of making her own decisions – not only to go against her own terrifying nature when the occasion called for it, but to rise above it. To keep her both frightening and sympathetic at once was the main challenge, and I think I was able to do her justice in that regard! Follow Rin online at rinchupeco.com. We have one copy of The Girl From the Well up for grabs! The giveaway is open to addresses in the US and Canada only, and will run until Sunday, August 10 at 12:01am EST. To enter, use the form below! I’d say my favorite horror novel is I Am Legend, though I didn’t find it scary. I love Anna Dressed in Blood by Kendare Blake !!! I don’t know that it’s my favorite, but it was scary – The Heart-Shaped Box, by Joe Hill. My favorite horror novel is The Passage by Justin Cronin. It’s an amazing book, totally worth reading all 963 pages of it. I really enjoyed this book. I agree, it being told from the ghost’s POV gives it a whole new perspective and allows new themes to be explored. I have recently loved both Sorrow’s Knot and The Coldest Girl in Coldtown. My favorite horror novel is The Girl with All the Gifts. I’d also have to go w/ The Passage by Justin Cronin 🙂 Thanks for sharing! House of Leaves by Mark Z. Danielewski. So awesome and creepy! I’m not much of a horror reader, but I think The Terror by Dan Simmons. Favourite horror novel? A bit of a hybrid but… Clive Barker’s Weaveworld. My favorite horror is Carrie…I know it’s old but it’s the first book I remember reading that was really scary! I absolutely love the Ashes trilogy by Ilsa J. Bick. It`s so bleak and brutal, but oh so fantastic and addicting! I’d say it would have to be something by Stephen King … been awhile ago but it was one of his short stories. I can’t think of the name of the book but the story was called Survivor Type. I just finished and loved NOS4A2 by Joe Hill. I’ve had a deep and abiding love for Edgar Allan Poe’s short stories since I was a kid. My favorites are probably The Black Cat and The Cask of Amontillado. This sounds so interesting; it seems like a completely different look on horror novels. I’ve actually never read a horror novel that wasn’t a middlegrade, so I can’t really say what my favorite was. I look forward to trying my first, though! Thanks for the giveaway! Carrie! I read that book when I was way too young to be reading it! I don’t do Horror, but I finished devouring this book yesterday. I couldn’t read it at night – creeped me out too much. So I took it to work with me and probably had several suspiciously long lunch breaks because of it. OMG. You have to read this. It’s more than mere horror. It’s heart, soul (pun intended) blood and beauty. Who would have thought horror could be beautiful? Well done, Mrs. Chupeco. Can’t wait to read your next – whatever genre it is.